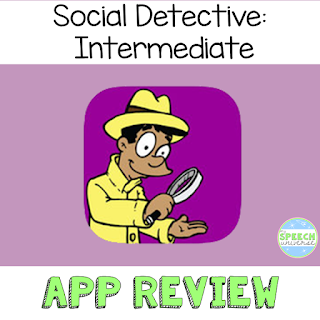 I was approached to review The Social Detective Intermediate app which was created by Social Skill Builder in collaboration with Pamela Crooke and Michelle Garcia Winner. This app is a follow up to the Social Detective: Beginner app, and is geared toward ages 7+. It is meant to be a companion to the You are a Social Detective book by Michelle Garcia Winner and Pamela Crooke. The creators describe the app by stating that it "focuses on decoding the thoughts and emotions of people students interact with day to day. Using this information, students will make smart guesses to predict what those people might do or say next." I had two students who were working on better understanding and reading of others thoughts and emotions, so it was perfect timing! This app begins with choosing an avatar for your student. Then, the app guides you to a page with "detective equipment." There is then a snapshot of all of the thoughts and feelings of the character after the questions have been answered. The flashlight allows students to practice being a social detective by identifying what is seen or heard by a character. They help the character make a smart guess ad figure out what others are thinking. It also allows students to predict what the character will do next. This portion of the app also has videos that students will watch to answer the same types of questions as the pretest above. After the student correctly answers three questions, the video will continue, to show what happens next. I thought this was a great way to practice social understanding. The videos provide nice opportunities for students to utilize their social thinking skills. My students were engaged in the videos which encouraged them to really think about their answers. I like that there are a large amount of videos to provide practice for my students. I would love to see some more added that could include more school situations with older elementary to middle school students. 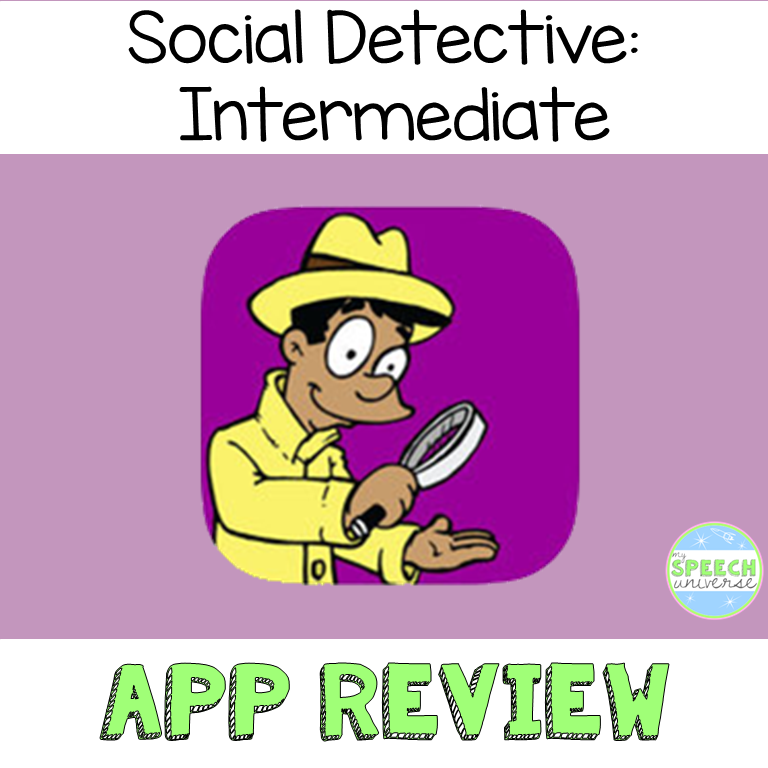 You can purchase this app at the app store (iPad only) here: Social Detective Intermediate for $24.99. You can also purchase this app as part of a bundle which includes Social Detective Beginner here: Social Detective Bundle for $39.99. Disclaimer: A copy of this app was provided to me for my review. No other compensation was provided and the opinions are mine.